Kimberly R. Ball | Purchase, George and Murphey, P.C. 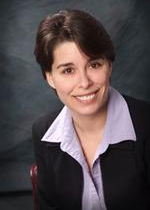 Kimberly R. Ball is a Senior Paralegal with Purchase, George & Murphey, P.C. Kim has more than a decade of experience helping clients and lawyers gather and organize information, manage correspondence and other communication, and provide litigation support. Kim received an Associates Specialized Business Degree in Paralegal Studies at Erie Business Center. She is a Pennsylvania Notary Public and has maintained this certification since 2004. She pursues ongoing professional education and maintains various certifications. A sampling of her continuing professional development includes attendance at various seminars such as Mistake Free Grammar Proofreading, Trial Preparation for Paralegals, Microsoft Excel, and Advanced Microsoft Excel. Kim is a lifelong resident of our community and graduated from Girard High School. She and her husband, John, have one adult son. What are the Causes of Dog Bites and Can They be Prevented? At approximately 50 mph, a young woman’s vehicle collided with a truck. Both vehicles were totaled. Client suffered multiple injuries including complex fractures and a myocardial contusion. Client’s husband was killed in a motorcycle accident caused by a careless driver. His underinsured motorist carrier originally denied coverage, based on a policy exclusion, and then offered only half the coverage. Late at night, a driver turned right at a stop light and crossed into the oncoming lane of traffic. His BAC was over the legal limit. He was charged with DUI, a lane violation and careless driving. An instructor at a local high school was accused by a student of indecent assault on the last day of school. After four days of trial, the jury acquitted the instructor of all charges. Will I have to pay a lawyer up front? What is joint and several liability? What if I'm not happy with my Personal Injury lawyer? What is a civil lawsuit in Pennsylvania? Will it cost me anything to see a lawyer about my medical malpractice case? I've just been in a car accident, do I need to hire an injury lawyer? Does Pennsylvania have special winter driving laws? What if I don't have insurance to pay all of my medical bills? What dangers are presented by Pennsylvania commercial trucks? What does it mean to "Jackknife" a tractor-trailer? What is a Pennsylvania Commercial Driver's License? How many trucking companies are there in the U.S.? Who is responsible for injuries caused by a dog in Pennsylvania? Are dogs permitted to run loose in PA? What is Pennsylvania's "Dangerous Dog Law"? Where can I call to report an Erie County dog attack or dog bite? What is a Pennsylvania car insurance "surcharge"? My auto insurance company cancelled my policy - now what do I do? Should I buy Pennsylvania Uninsured Motorist Coverage? How does "stacking" work in Pennsylvania auto insurance? How do I choose the right lawyer for my case? What should I do when I think charges might be filed against me? What is a suppression hearing? Does the car have to be moving for me to be guilty of DUI? If the police officer asks me if I have been drinking, what should I say? If facing a DUI, will a jury decide my case at trial?